Quality international, German and UK/French short films have been selected for your viewing pleasure to compete in the fourth edition of this multi-genre cutting-edge Berlin Short Film Festival. Director Claudine Biswas-MacKenzie and a team of academics and media professionals who select, judge and promote the 75 nominees of the annual BSFF will be at the main Babylon foyer in Berlin-Mitte to greet all during the festival from 5pm. First come first served rules apply in terms of ticketing so arrive early to join the fun. The festival benefits from the vibrant Berlin film-making community and the cinema's proximity to the media hub of the metropolis. June 30 at 21:00 there is the Filmmakers’ Night at Griffin Bar aka A.G. Foundation, Invalidenstraße 151, affording visitors the opportunity to meet talent traveling in to Berlin-Mitte from all over the globe. Germany, France, the U.K., the U.S. and China will be represented en force this year with an emphasis on innovative approaches to filmmaking. BSFF revels in addressing current social issues and above all exhibiting excellent cinematography. Female directors represent an equal share of filmmakers invited to compete in this annual event. The vibrant Berlin Short Film Festival is becoming one of Europe's leading film festivals for international producers. It is a unique platform for new talent and a celebration of cinematic creativity and innovation. The Festival attracts a broad selection of work by filmmakers working in every genre and format. BSFF offers Berliners and visitors an extraordinary chance to glimpse the future of cinema. Berlin Short Film Festival is an annual gathering point for top-tier film-makers – from emerging talent to more established directors. Four days consisting of 15 sessions of multiple premières and networking possibilities provide ample opportunities for selected film-makers to showcase their achievements, learn from their fellows and build contacts for future collaborations. The 2017 Berlin Short Film Festival will showcase 75 films of varying duration, music videos and short documentaries. The festival is open to any film in any genre under 50 minutes in length. The festival prioritizes low-budget films of independent spirit and exciting new talent. Each short film block is approx. 80 minutes long. The films selected compete for awards in eight categories. The jury consists of international film pros and experienced creatives working in film and media for a minimum of 25 years. 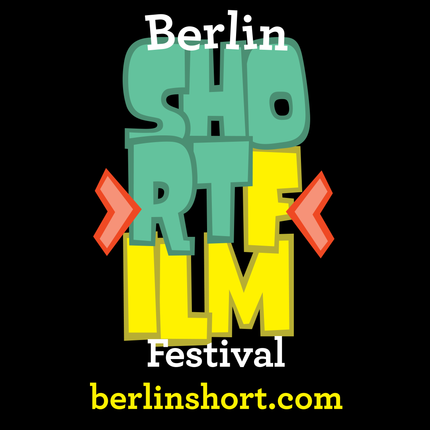 All Berlin Short awards are announced online after five days of short film block screenings. BSFF will be showcasing 75 films at the Babylon this year: 6pm, 8pm & 10pm from June 29th - July 3rd, 2017. Jury Award categories: Best Short Film. Best Short Documentary, Best Micro Short Film, Best Sci-Fi Short Film, Best Horror Short Film, Best Experimental Short Film, Best Comedy Short Film & Best Music Video. All the films are in English, German or in their original version with English subtitles and are shown in Kino 2 of the Babylon from 18:00-19.30, 20:00 - 21:30 & 22:00 - 23:30 Online tickets available 2 weeks before the event.